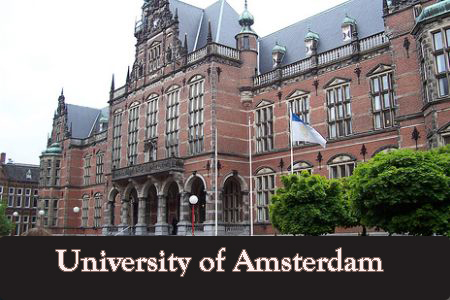 University of Amsterdam has an opening PhD position in european law. The funds for this fellowship are available for 36 months. Applications are invited up to January 25, 2019. For this research the Amsterdam Law School is seeking three PhD candidates. This vacancy is for PhD project 2. PhD project 2 will focus on the behavioural assumptions of lawyers in the US. It focuses on prosecutors, regulators (tax, environmental and securities) as well as corporate compliance managers. The PhD researcher will operationalize this research and work with the two other PhDs, a Postdoctoral researcher and the PI to develop the survey instrument that is to be used in all three projects. The PhD researcher will carry out 12 months of fieldwork in selected locations in the US (most likely New York City and California) and with the help of the PI will develop a network of contexts that allow access to the lawyers studied. The PhD researcher will do qualitative and larger scale survey interviews with these lawyers to assess their behavioural assumptions and to compare these with existing scientific knowledge that has been summarized in a different project by the PI and the Postdoc.